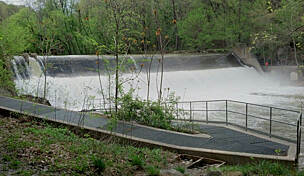 The 11-mile BWI Trail was primarily designed for area commuters; however, the trail also makes for a great recreation venue. Despite being close to BWI-Thurgood Marshall Airport, much of the trail is mercifully peaceful, especially the segment through Friendship Park's pine forest. 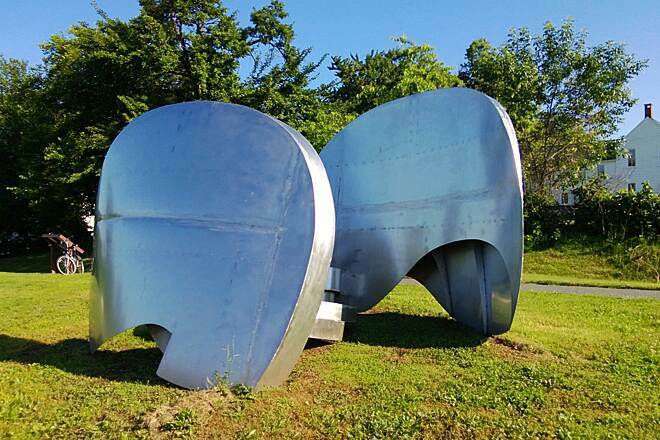 Aviation buffs will enjoy the northern terminus of the trail in Andover Park, where they can view the general aviation runway. You'll find a few restaurants along Aviation Boulevard, Dorsey Road and Elkridge Landing Road, and vending machines at the Amtrak station. 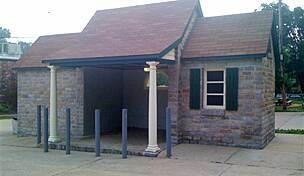 Restrooms are available at Andover Park and the Amtrak station. 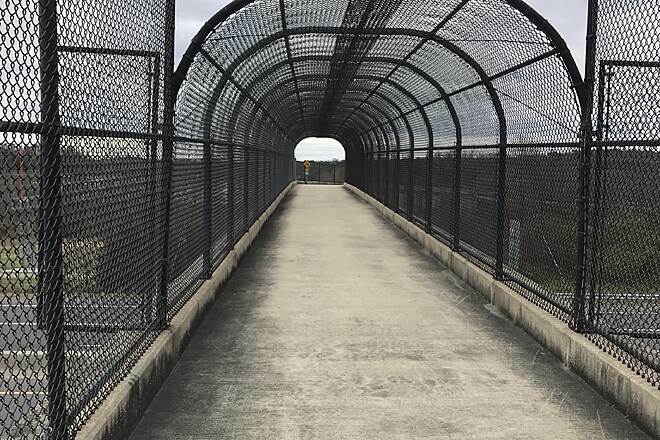 At the southern terminus of the BWI Trail you can connect via the John Overstreet Connectora short spur traildirectly to the Baltimore and Annapolis Trail. Parking for the BWI Trail is available at the Tom Dixon Observation Area on State Route 176/Dorsey Road, about 1 mile west of Interstate 97. 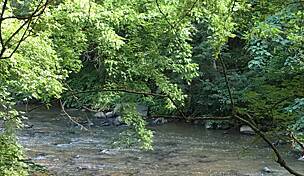 If that lot is full, park at Sawmill Creek Park on SR 176 along the spur to the B&A Trail. Travel west on the John Overstreet Connector until you reach the BWI Trail. If you are traveling by rail from Baltimore, exit at the Linthicum Light Rail Station. A short spur south will connect you with the BWI Trail. This was the first trail I've cycled since getting into biking. I enjoy it and was especially surprised by the scenery. Its a good mix of serenity and chaos. I like it! Great place to cycle safely with a variety of landscapes. 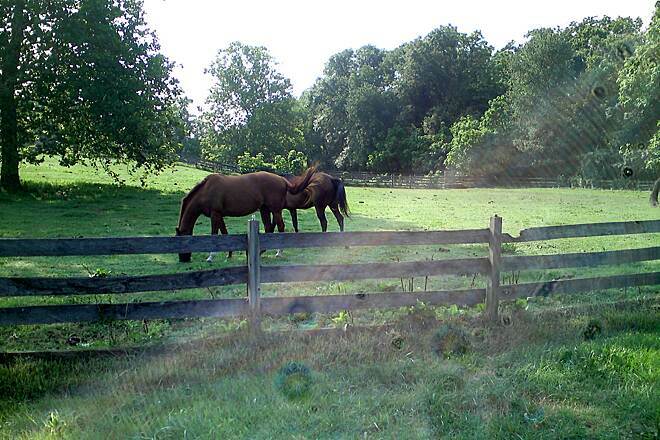 Everything from forest, a horse farm, to airport look over and parking lots. On sunny nice days it can be quite crowded around the parkinglot area. This website says that it is 12.5 around the loop. I have ridden around it many times, and my gps only records 10.5 miles. 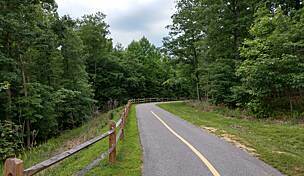 We loved riding this trail from Glen Burnie to Annapolis. Go all the way into town and enjoy a nice lunch at one of the many nice restaurants on the waterfront. The trail is well marked and safe. Recently back into riding along with the family and have done 6 different trails over the past month or so. 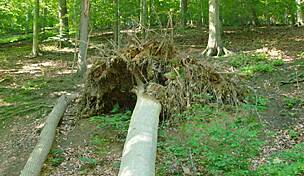 This trail is diverse enough around the loop to push the beginner or intermediate rider. Unlike other reviewers, I have not found the loop to be trashy or congested and the trails along the roadways is not a problem at all. Nice way to knock off 12 miles in a relatively short period. The BWI is a local amenity. It's a super sized fitness trail. Think of it that way and you'll be pleased. If you compare it to a "destination trail," you'll be disappointed. Great advice from earlier post to travel counter-clockwise around the airport - the hills are much more manageable. Though a mostly pleasant 12-mile ride on a smooth, paved trail, approximately half of the ride is alongside very busy multi-lane roads. Also, the map provided on this site shows a traffic circle of sorts along the west side at Stoney Run Road. It does not exist; we traveled Stoney and Old Stoney end-to-end and found no such area. Finally, the trail would benefit from a regular litter patrol, as some people are pigs. It was awful...if you like 12 miles of riding through and around industrial areas, you'll have a blast. The only difference between this path and riding on the street is that you are not actually on the street, but you are right next to it for most of the ride. Trucks, cars, noise, traffic lights, ugh! If you like nature, scenery, quiet with no traffic, no streets to wait at lights to cross, you need to skip this and go somewhere else. There is absolutely nothing charming about this ride. Have done many rail trail rides in MD and PA over the past 2 years. This is easily the worst and the only one I would not do again. I did the airport loop on a beautiful Sunday September morning. 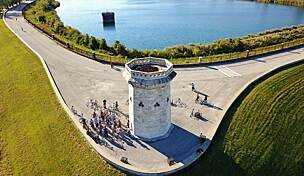 What a great community of bikers, runners and walkers. There I was riding a Calypso Cruiser, slow, heavy bike, great for the beach but its use on the trail leaves something to be desired; and there were all of you, routing me on! Thank you! I plan to return! Several people told me this was a good ride. Was I dissapointed. If you like crossing 50 driveways car rentals, airport tanker farms, bus lanes, arrivals, departures and taxi etc ... Out of 12 miles only 5 miles of pleasant secure riding trails.. If love airports 360 views go for it otherwise avoid. Any time we visit Washington I try to hit this trail. Aired out my Brompton this weekend on a beautiful Sunday morning. Was happily surprised to see updated signage clearly marking the trail, as I got lost last time (2 years ago). Easy rolling terrain, hard curves well-marked, clean and flat. The boardwalk bridges are beginning to show their age. Can't wait for my next DC visit! I started walking to strengthen my back and legs due to the ongoing issues I have with both. Then I decided to start biking and so glad that I did. it is a challenge but I enjoyed it alot. 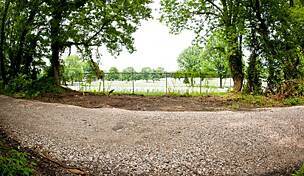 If you are new to biking and park in the Observation lot, make sure you take the trail in a counter clockwise direction to avoid the hills and bigger grades. If you want a challenge (somewhat) take it in the clockwise direction). Pretty well marked, all asphalt, except for 4 wooden bridge crossings. Several crosswalk areas that require full stopping and getting off the bike. Wide enough for riders in both directions. A pretty ride, areas to stop off and sit, places to get a bite to eat and drinks. Bathroom (yucky-porta potties that need a cleaning) at observation area. A really nice trail for a hour's bike ride that is not too strenuous. I stumbled upon this trail today and I love it. It was an extremely nice ride I had no problem pulling the hills. I will definitely add it to my list of favorites. Trail was marked well and the gradual hills sneak up on you. My first ride on this trail and it provided a good workout. There are enough shaded places along the way and on a portion of the trail there are 7-11's and gas stations. Some nice views of the airport. Worth doing again. Tough Start but a Great Ride! Being a novice rider and riding less than 25 miles around my neighborhood, this was my first trail with any distance. This was a tough start but a great ride. I have nt been riding in many years and am just starting out again. I have to get my riding stamina gradually back up and have always enjoyed this trail. the more advanced riders are polite and patient. it is much busier than I remember with the mix of walkers...joggers...inline skaters..and cyclist..but that doesn't bother me at all. overall I feel its a great place to just ride and get away from it all. A nice loop that has a lot of elevation changes. lots of ups and downs. Not much shade but some good views of B.W.I. I did this on Sunday and could not believe how many people where on this trail. Lots of family,s out for a ride on a great day. There are a lot of Street crossings but are well marked and all have cross walk lights. Great loop ,nice challenge for beginner great work out for seasoned rider. Nice Trail, Well Marked, but Hills. More Parking available on shoulders of WB&A Road just before Tom Dixon Observation Area on State Route 176/Dorsey Road. Trail has some steep hills. It is not a cakewalk. Not the best ride for your first time out after a winter with little exercise. As Others have said, a little bit easier going counter clockwise around the airport. These are my "hometown trails" and it's great to have them nearby. I am getting ready for the Seagull Metric Century in Salisbury, MD in two weeks and I took advantage of a glorious late-summer Friday afternoon to ride 40 miles on these interconnected trails. I parked at the Dixon Observation area on Rt 176 near BWI airport. 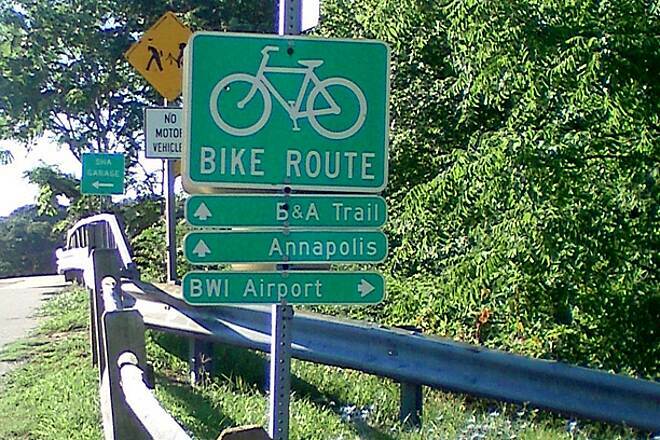 I rode clockwise around the airport (about 10.5 miles) and then took the (1.5 mile connector) from the BWI Trail to the B&A Trail. 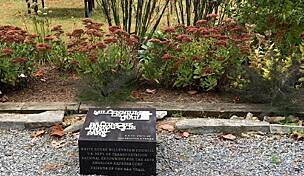 (It is pretty well marked). The B&A Trail runs for 13.3 miles from Dorsey Road in Glen Burnie to the southern end outside of Annapolis. 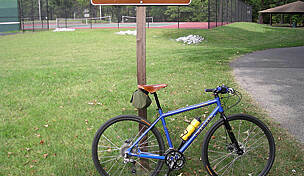 I did a round trip on the trail, connected back to the BWI Trail and finished the BWI circle back where I started. I averaged about 14.2 mph and didn't have trouble with the other bikers, pedestrians etc. If someone was going much faster they might find the congestion or the somewhat rough surface in places to be more of a problem. In summary, I have ridden these two trails numerous times and I'm glad they are here. Give them a try if you haven't already. Started getting back into biking recently and we decided to try this out. I used to ride 200 mile trips but that was many years and many pounds ago and after finding this site and this trail I decided that this would make a nice ride to get back into biking. There are some hills, or perhaps grades would be a better term, but none were even close to hard (going CCW on the trail around BWI)and it was a great ride after years of being off of a bike. My girlfriend has never riden like this and it was more difficult for her, but I just put it in an easy slow gear and just enjoyed the scenery with her. It was hard for her, but she did it. There are plenty of benches if you need to stop, and we actually stopped and had lunch at a mexican restaurant that is along the route. The only confusing part for me was when it starts to connect to B&A Trail...just remember your going going in a circle and you should be ok.
Back in the day they didn't have bike trails so I don't have much to compare this to...I always rode the streets or country roads, but I do find this much nicer. Admittedly, I don't have much in the way of bike trails to compare this to and this is my first review, but I am someone who can find something to complain about fairly easily and I don't have any complaints about this. I first heard about this trail from a neighbor last week. I'm not in the greatest of shape and didn't think about doing the whole 12.5 miles. From the observation parking lot, I headed out going counter-clockwise. The first few miles was pretty shady and flat. At some point I thought I could do the whole 12 miles. The 85-90 degree temperature stated to take a toll. Instead of turning around, I was curious as to what the whole loop around the airport looked like. The hills came. I walked some of them. Great views of the airport at some points. Fellow riders were nice with nods or hellos. It wasn't crowded at Sunday morning from 10:30 am to 12:30 pm. Two hours later I made it all the way around. Will ride it again once I heal. I have been meaning to ride this trail for some time now. I cycled the trail in a counter clockwise direction on a quiet weekday. There was a mix of cyclists and joggers. I really enjoyed the ride and was a little surprised it was so hilly. It has easy gradients and a couple of places which I would call reasonably challenging hills. Doing the trail in a clockwise direction would be more challenging. As the climbs are longer and steeper in this direction. I Stopped for a rest and drink and to admire the view over the airport from Andover Park. The only criticism I have of the trail is having to cross several busy roads and poor directions in a couple of places. I went off in the wrong direction at one point but quickly realized I had made a wrong turn. A great trail but be aware there are hills if you are a rail trail rider. I get here by Light Rail. It is moderately difficult, a few hills. 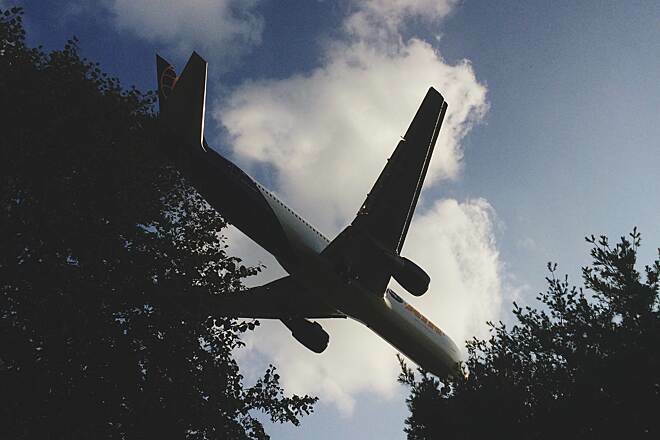 Scenery is nice, parks, horses, airplanes overhead. What a great ride. You can connect to the B&A trail too. There are some places to eat. Asphalt circuit around the airport, with a link to the B&A trail. Lot's of vehicular traffic so you need to be cautious when crossing driveways and streets etc. Plenty of convenient access points. I was on a business trip and staying at the BWI Sheraton. I'm training for a marathon so wanted to put in some miles and got this loop from RtT. The Andover park trailhead is only 1.5 miles from the hotel so it looked perfect. The beginning was very nice with the rolling hills through the country side but then the commuter piece became obvious. I had to stop twice for lengthy periods to wait and cross a busy road. I felt like I was running along the road for most of it. I eventually got lost and ended up on the B & A trail and completely disoriented in Glen Burnie. After 15 miles I was done and had to ask for directions from a grocery store clerk. Luckily someone in line offered me a ride home b/c I was easily 4 miles from my hotel at that point. I just thought what appeared to be a straight forward loop around BWI would be well marked. I'm sure some of it was my fault but I was unimpressed with the trail. 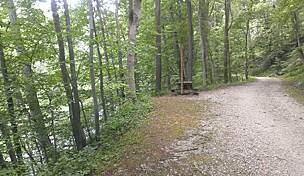 I started at the Dixon Observation Area, heading into the woods. The woods area gives you a sense of the grading-- a little bit of uphill and a lot of relaxing downhill. Seems too good to be true, right? The balance is payed on two or three REALLY steep spots where you all but walk up the hill. Not recommended unless you have really powerful legs and back muscles. Because of these few very steep areas and the sheer length of the journey on rollerblades, I'd call this an intermediate trail. Also, a couple downward grades leading to intersections make it crystal clear that this is a BIKE trail. To attempt this on skates without proper braking technique is downright dangerous. Although the trail can be grueling at times, there are plenty of appropriately spaced benches and diversions. For example, there is a little info/ shelter on the hill where you can take a breath and watch the planes. 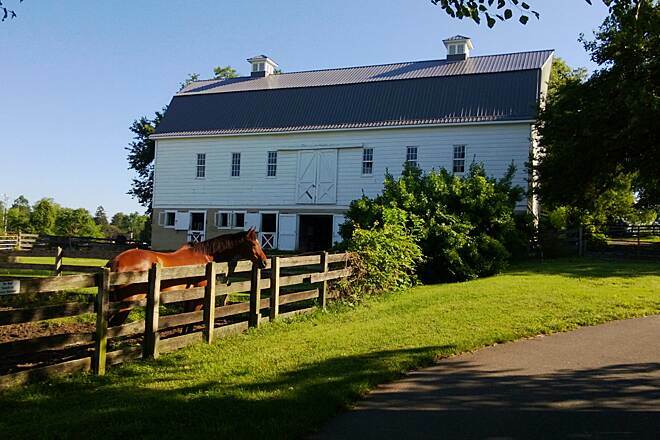 One section runs through bucolic horse farms. Some straightaways brought me up around 25 mph and left me feeling irresponsible for going so fast without any way to stop. The hill following the 195 bridge is mind-bogglingly steep and should not be attempted on a crowded or rainy day. I went for it, but had to warn some people on the pathway below to move aside. On the last few miles leading back to the parking lot, there are a series of wood-covered bridges. The fair quality of the boards is what makes this a 4-star and not a 5-star review. The boards seem safe enough, but are worn and rumbly. All in all, an exhausting trip but also really fun. When I was done, I thought, "Did I just go around the entire airport on roller skates?" I did. Note: It is best to bring a backpack with water and sports drink, as there are no stores aside from a couple convenience stores which may or may not allow in people on skates. 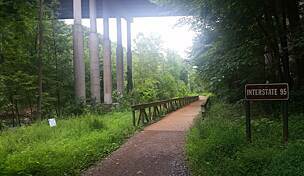 A nice easy out-and-back 4 mile ride starts from the Dixon Observation Park, following the BWI trail (S then E) for 1.25 miles, where it reaches a branching off of the BWI trail (to the left) and the B&A Trail (sharp right onto a bridge over I-97). 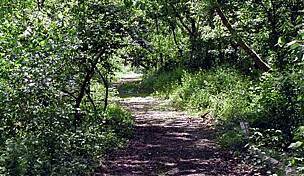 If you follow the B&A Trail you come out behind the baseball fields at Sawmill Creek Park at the 2.04 mile mark. The only real hills are a very short one as you approach that 1.25 mile branching point and a relatively short one returning from Sawmill Creek Park as you climb to the middle of the bridge over I-97. Other than those hills there are some graded areas where you can get used to switching gears if you're new to biking and where, on non-peak periods, there are enough to straightaways to get used to traveling relatively fast. My hubby and I did the BWI trail on a Sunday morning in June around 0900 AM. We parked our car on the side rode of Elkridge Landing where other cars were parked. We are recreational bikers just now getting into biking about a month ago. he drove a hybrid bike while I have a simple mountain type bike. We had great fun, we only did the BWI loop, and that was enough for a hot day. If you start at Elkridge Landing, there is a park at almost exactly the mid way point, where you can take a rest and go to the restroom. There were some joggers and other bikers, but nothing overly packed at all. I really love riding where I didn't have to worrry about dodging cars. There were only a few cross overs of streets, that had little traffic. If you start the by heading northeast, you don't hit the long hill until the end, it was rough for us, but probably much simple for more experienced bikers. I hope we did this again next weekend, and we'll how it work going the oppposite way. I do suggest you bring you own water to cool down and take breaks. it only took us about 1.5 hours with water breaks, what was funning is seeing the same bikers passing us a couple of times...now they were experienced! I have run the B&A only a handful of times and most recently for the upcoming 2009 marathon. I have a blog post that details my most recent run: http://nataliefriton.com/batrail and also shares an idea about ways in which the conditions of the trail could be reported for trail users to check before heading out. I am not aware of any existing services that update trail conditions on a daily or regular basis and think this could be a huge advantage for trail users. The majority of the trail I used on Feb. 1 was fine but because of recent weather conditions there were still stretches that were icy and slippery that might have been good to know about ahead of time. I'm grateful for the trash cans along the trail and wonder if there has ever been discussion about including a port-a-pot or two along the route. This trail is usually noted to be 11 miles, but a piece of that is a short 0.4 mile dogleg to the terminal. So, if you do this trail, you are either going to do the main loop at 10.6 miles, or include the terminal and complete 11.4 miles. There are two nice overlooks. One is the Dixon Observation area with the crowds, playground, and parking, where you can watch the planes fly in. The other is at the northern piece of the trail, to the east of Elkridge Landing Road (another decent parking area, on street). This overlook includes benches and trashcans, and is a nice hill that overlooks that airport, where you can have a nice general view of the whole airport. 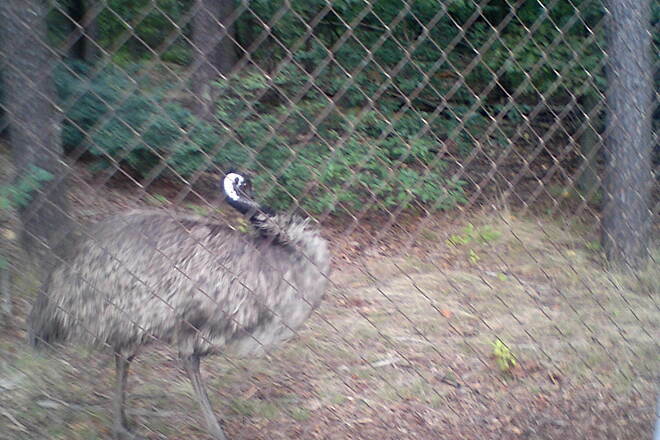 In addition, as you leave this area heading towards Elkridge Landing Road, watch for the Emu farm on the right, in the woods. This trail has lots of neat wooden bridges, some very long. In addition, to the east of the Dixon Observation area, it's shaded, and very pretty. It's a great area to take kids on short rides. You can ride from the parking lot, out to the shaded area in maybe .75 miles, and have the planes fly right overtop of you. There is a 7-11 on the trip, but it's across a busy road. That is on Aviation Boulevard. Lastly, they like to close the Dixon parking lot at sunset, and the trail itself closes at dusk. But, if you are on a long run or bike ride, and you are at risk of getting back late, I recommend parking in an area other than Dixon. If you go further west down Dorsey, there is a Burger King on the left in a shopping center, which is nice to park in just in case you hit sunlight issues. "this trail is great for inermediate bikers. starting at the BWI trail and taking the trail through Glen Burnie and onto Annapolis. it's about 22 Miles to Annapolis from BWI. Excellent scenery and great for excercise !!!!" "Nice trail! Good workout! Very little traffic to deal with. Take water and a snack, not much along the way. Check out the B&A Trail connection. " A nice ride! Tends to get a little crowed on the weekends though. But a good trail overall!